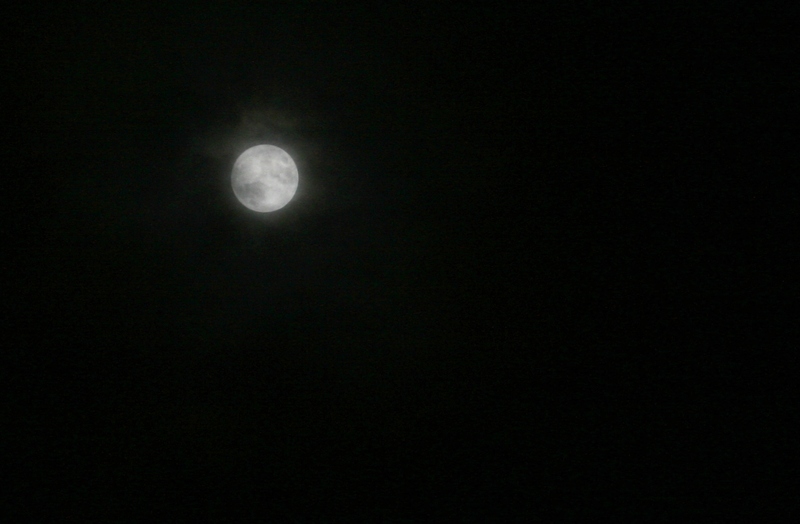 After sneaking the kids’ gifts under the tree while they were sound asleep, I decided to see if the Christmas 2015 Full Moon was visible. A thin cloud lightly obscured the view, and I wasn`t sure if the early morning sky would yield any better weather. A few quick shots at 17 and 85mm on the Canon EFS lens to record the event as the next Christmas full Moon will be in roughly 30 years. 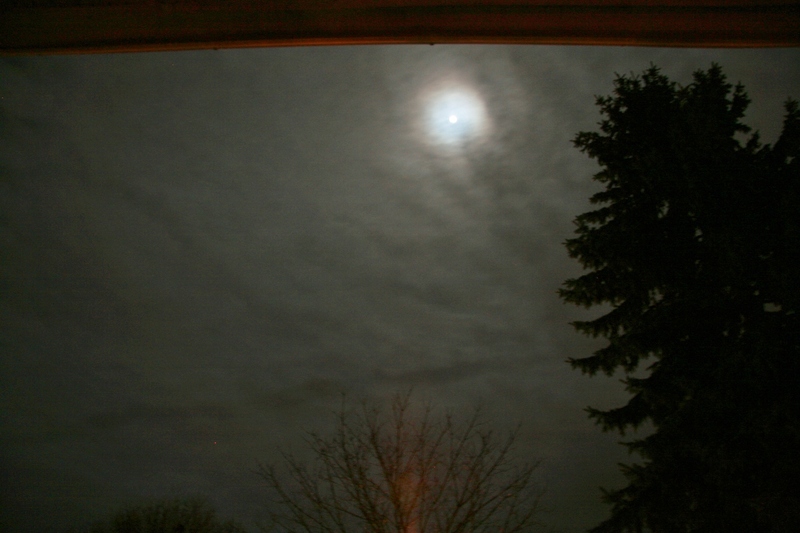 This entry was posted in Events, Photo and tagged Christmas, Full Moon by Benoit Guertin. Bookmark the permalink.